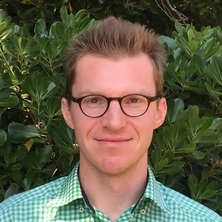 Nik Steffens is an ARC DECRA Fellow and Lecturer in UQ's School of Psychology. Nik has been awarded his PhD in 2012 from the University of Exeter (UK) before joining the School of Psychology in 2012 where he took up a postdoctoral research fellowship and then became a Lecturer in 2017. His research focuses on self and identity, leadership and followership, motivation and creativity, and health and well-being. In 2017, he won the APS Workplace Excellence Award for Leadership Development (together with Alex Haslam and Kim Peters) for their work with industry partners around the 5R program that seeks to help leaders to develop their leadership and enhance team functioning and well-being. In 2018, he was awarded a Discovery Early Career Researcher Award (DECRA; a 3-year research fellowship) from the Australian Research Council.